Hanoi Old Quarter is one of the most ancient and historical attractions in Hanoi. Visiting Hanoi, you should spend time wandering around the Old Quarter to feel the difference as well as specialties of this place. Hanoi Old Quarter is located next to Hoan Kiem Lake and it is one of the cultural and historical centers in Hanoi. Especially, coming here, you will have chance to meet and see a lot of foreigners who come from different countries in the world. The Old Quarter has 36 streets and each of them bears the name of goods that was specifically traded there. Be careful as you may get lost when wandering around the Old Quarter. Some of must – do things in Hanoi Old Quarter should be: visiting some temples and pagodas, watching water puppet show, drinking Bia Hoi at Ta Hien Street, tasting special foods. 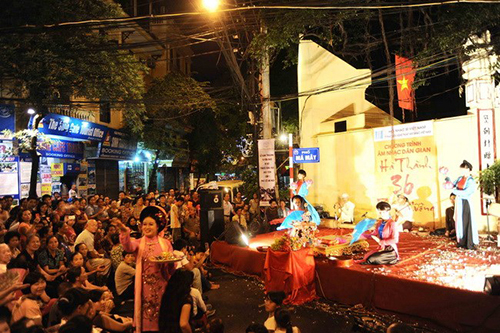 If you have chance to visit the Old Quarter at weekend night, do not miss to watch the traditional performances from artists which are performed with traditional songs such as: cheo, ca tru, cai luong. Wandering around the Old Quarter, you seem to be immersed in a completely different space. 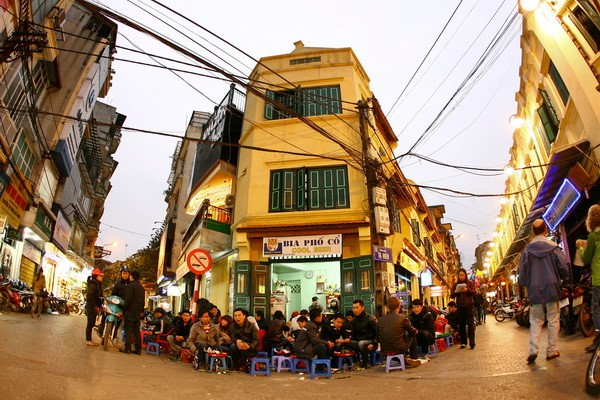 There are many people, both Vietnamese and foreigners who also wander around the Old Quarter like you, some of them come into a Bia Hoi junction and chat with their friends, some of them go to a coffee shop to enjoy the bustling music and hustling atmosphere here. Also, you will see a lot of vendors who sell different types of goods including souvenirs and street foods. Taking the advantage to enjoy and experience these will give you unforgettable memories and unfadable feelings. Just come and enjoy by the way you want, there are many interesting and fascinating things waiting for your exploration and discovery. Hanoi Old Quarter is more and more wonderful than you have ever known.